Enterprise Connect 2019 is over and was a huge success! Check out live event coverage on our editorial site NoJitter.com and stay connected via the #EC19 hashtag or on our Facebook, Twitter and LinkedIn. We offer a variety of videos and interviews from the event for you to watch including Keynotes, General Sessions, and Sponsor Interviews. All presentations are available for download within each individual session on Schedule Builder and their synced recordings will be available by Friday, March 27. Entire Event & Tue-Thu Conference Breakout Sessions require a password. All Free Education presentations access are available without a password. Read posts and watch keynotes at nojitter.com. Check out photos from all the week's activities. 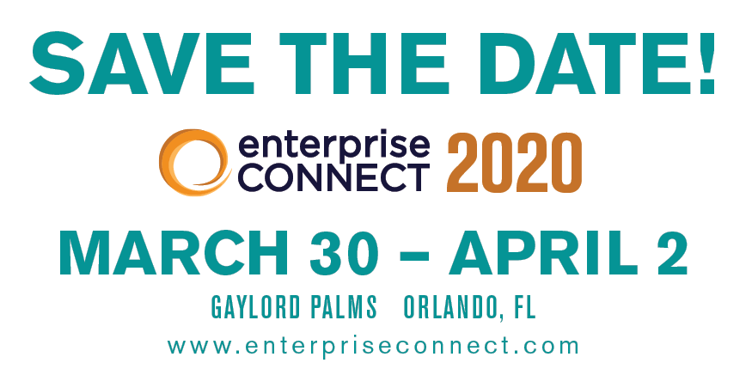 Read the most recent press releases and news articles about Enterprise Connect.